HTC hasn't had a great time of things in the last few years. Smartphone and tablet sales lagged, and a host of competitors repeatedly ate its lunch. Some recent moves, however, may be putting the company back on the right track. HTC is starting to embrace and develop wearable devices, and is looking to capitalize on one of the biggest developing trends: virtual reality. While at the Consumer Electronics Show (CES) 2016 event, HTC outlined its new partnership with Under Armour to create a new line of health tracking tools collectively known as HealthBox. HealthBox represents both hardware and software tools, and when combined, HTC's breed of hardware couples with Under Armour's apps and record-keeping systems to produce a great new solution for those who spend a lot of time exercising. HTC's contribution to this is known as the UA Band, which is a new version of its earlier health tracking system release built specifically to work with Under Armour. White-label designing isn't new for HTC; it has an illustrious history providing the service. It once began to develop its own brand, but heavy competition in the field eventually sidelined HTC’s offerings. Now, HTC works as more of what some call an “ingredient brand,” designing for other companies as part of greater partnerships. Virtual reality is also giving HTC a leg up. With buzz hot around PlayStation VR and Oculus Rift, HTC's Vive Pre headset is able to enjoy a halo effect as part of a field that doesn't have many competitors, but is poised to grow. 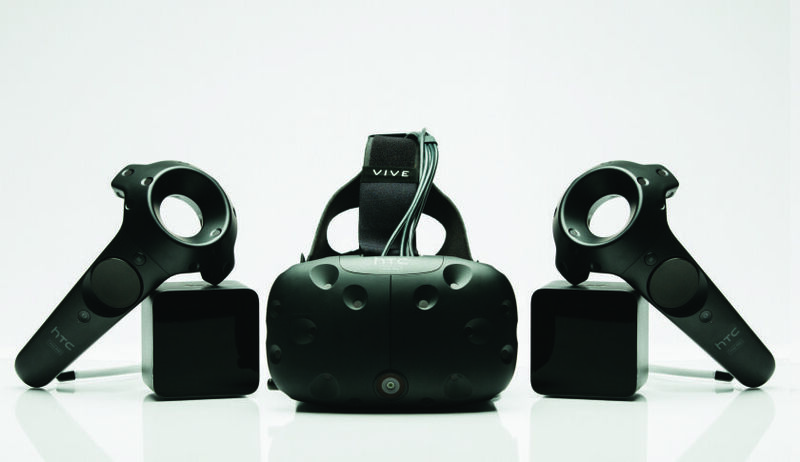 HTC Vive Pre is developed in conjunction with Valve, the gaming company best known for its Steam platform. The Vive Pre comes with hand controllers and a tethered helmet, along with a set of sensors to give it some added edge in gaming. This is somewhat new ground for HTC, and coming off some less than pleasant fiscal results—every year-to-year change from April forward was negative in 2015, and only once less than a third off—the company could use some new winners. Getting more fully into wearable devices isn't a bad idea long term; some reports suggest that wearables could be the next real mobile device. HTC's focus on partnerships gives it a particular edge as it allows more ready access to the markets held by other firms. Under Armour and Valve can handle the heavy lifting of marketing to its huge user bases while HTC sticks to gear development, a point that should help it along. HTC may have a winning formula for success with a new focus on wearables and partnerships. There's certainly buzz enough around virtual reality to drive just about any maker forward, and that should ultimately prove good news for one of the few firms in the market right now: HTC.